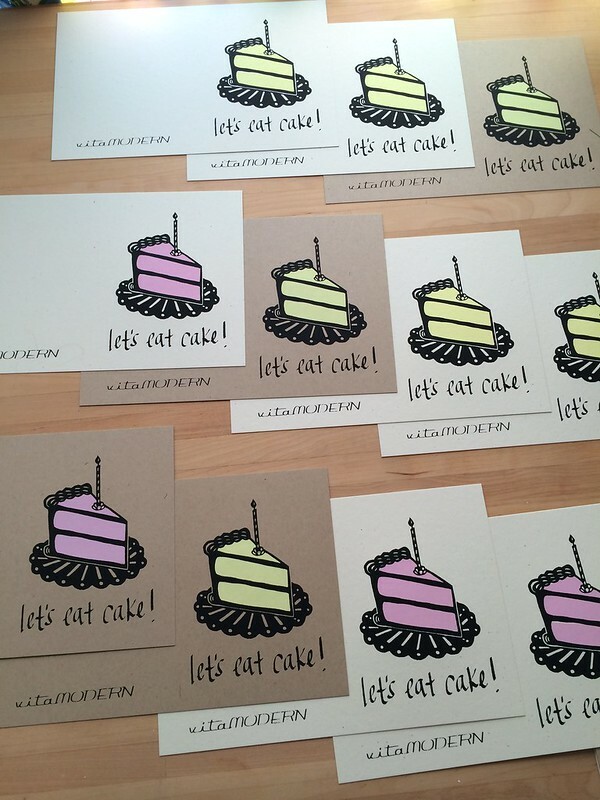 vitamini handmade: From my sketchbook: Let's Eat Cake! 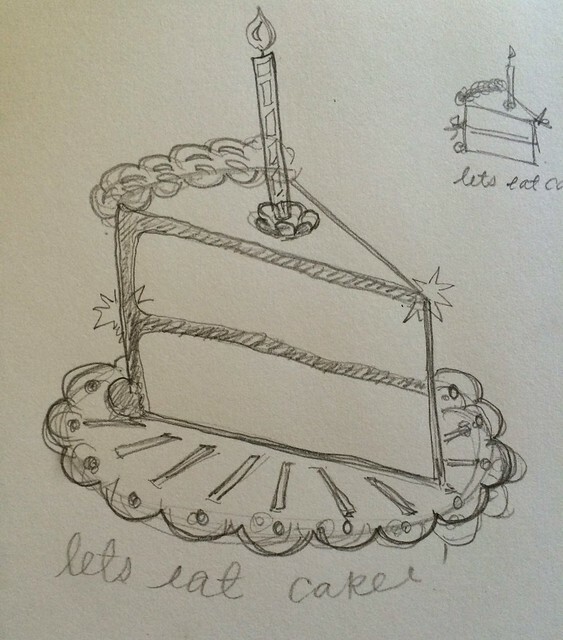 From my sketchbook: Let's Eat Cake! How it is Friday already?! Time's been flying by lately and I've been busying myself with lots of projects. 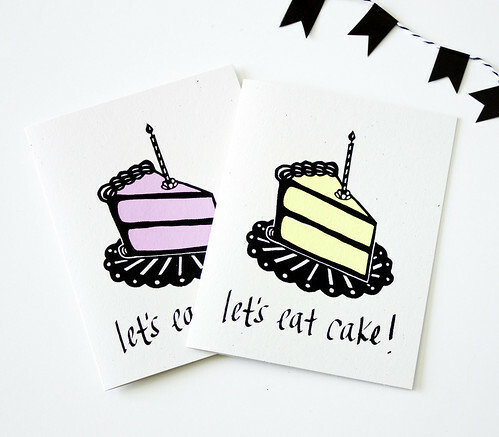 I designed, printed and photographed three new cards this week and thought I'd share a little peek at my design process. My designs always start out as simple sketches. Sometimes I'll sketch an idea over and over again, but this time I lucked out after only a couple iterations. 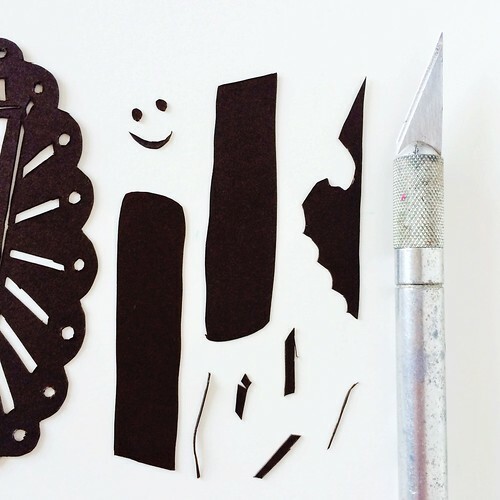 I knew I wanted this design to turn into a papercut, so I had to think of positive and negative space quite a bit. 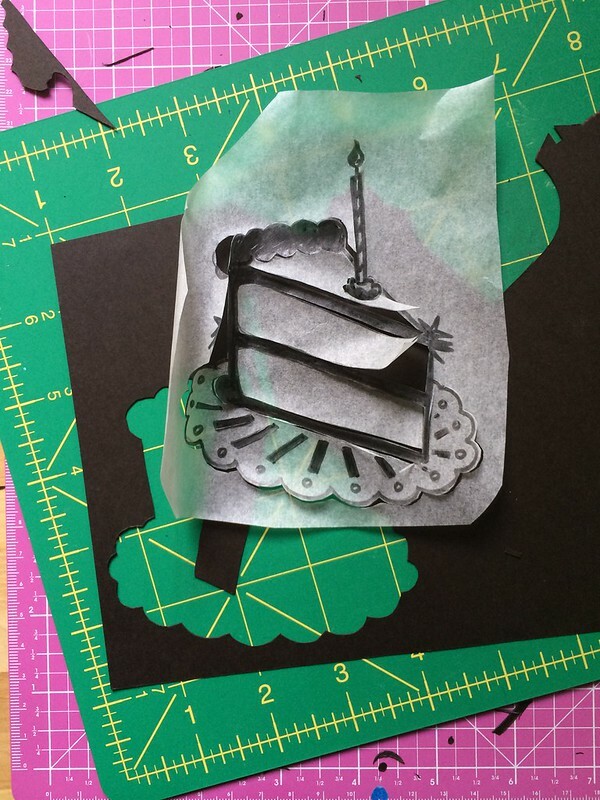 I rough-traced it onto tracing paper, then taped it onto my cardstock and got to cutting with my xacto. 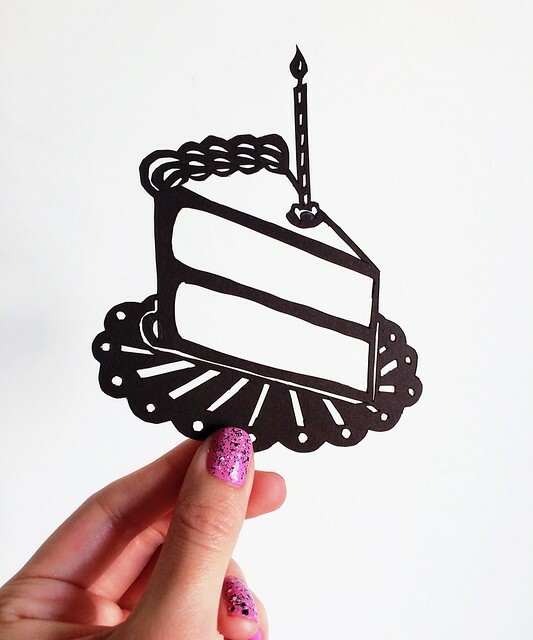 I then scanned the papercut into photoshop to clean up some of the edges and resize to fit on the card. I used my Wacom tablet to hand-write the text straight into Photoshop. After that it's just a matter of separating the two colors, printing out into a transparency, and then exposing it to light on a coated screen. 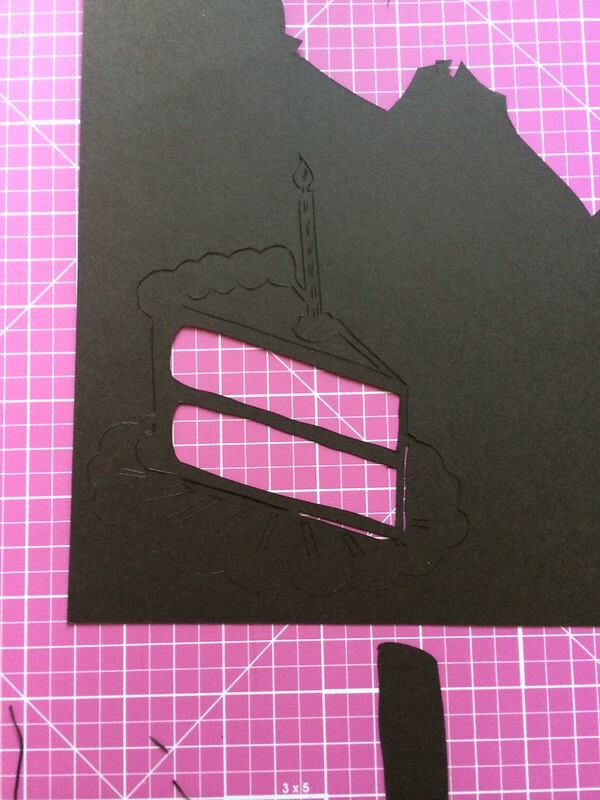 Then I screen print each color onto the cardstock, fold it up, and the card is done! 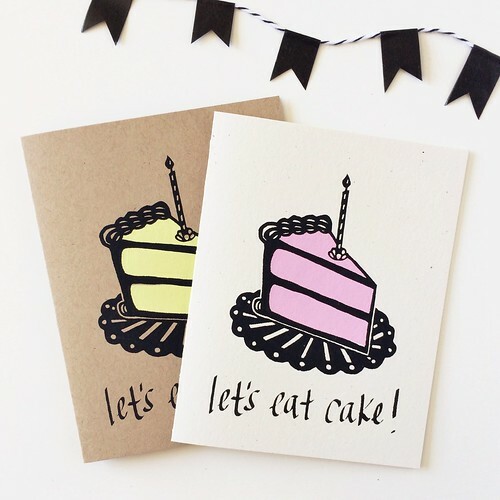 Let's Eat Cake! is now listed in my shop and my Etsy shop.